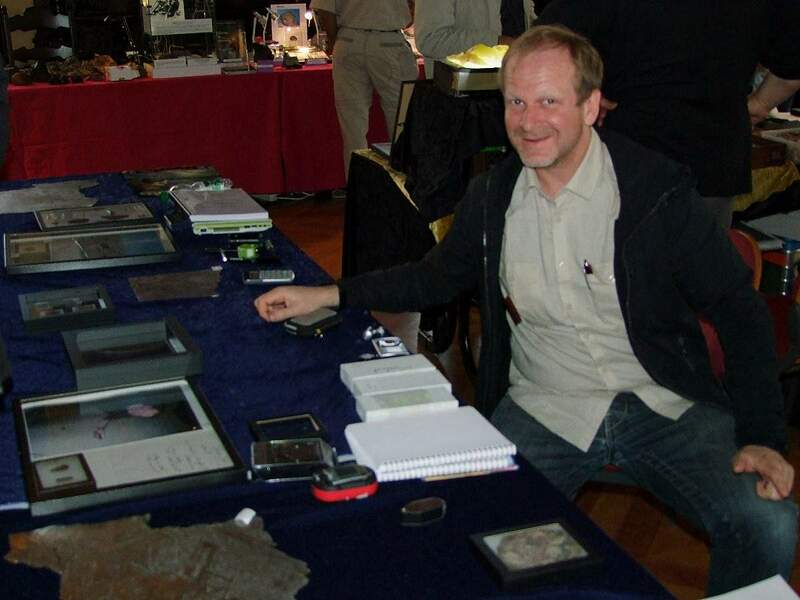 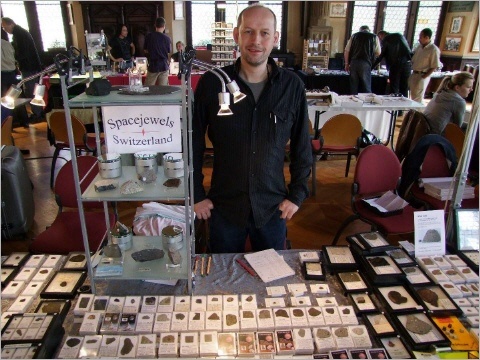 Dirk Hohmann, partner from Spacejewels Switzerland. 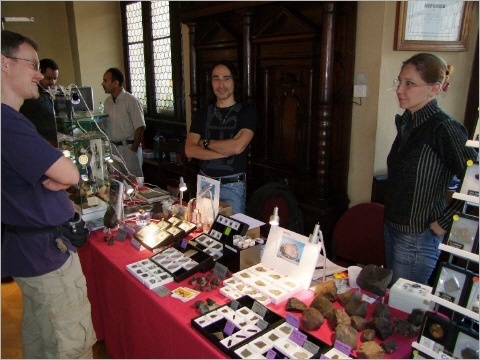 Philippe Thomas and his wife. 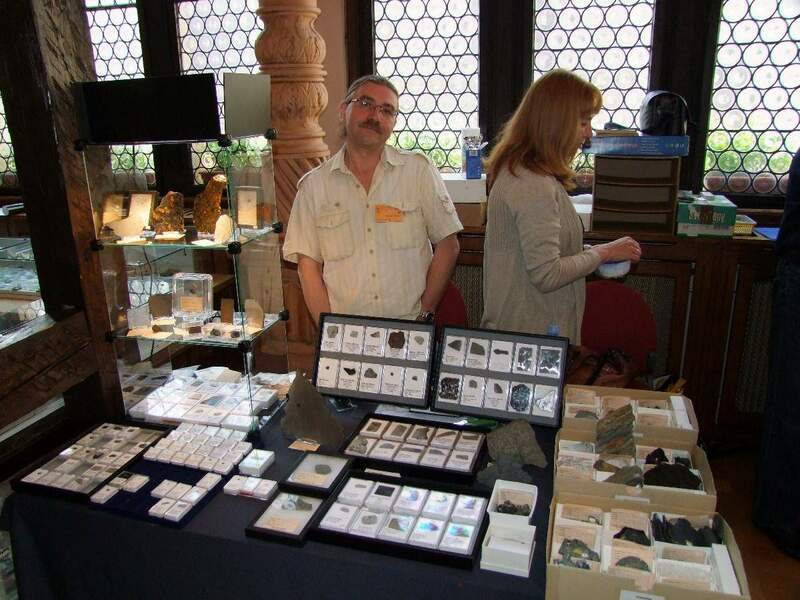 Anne Black selling the best thin sections. 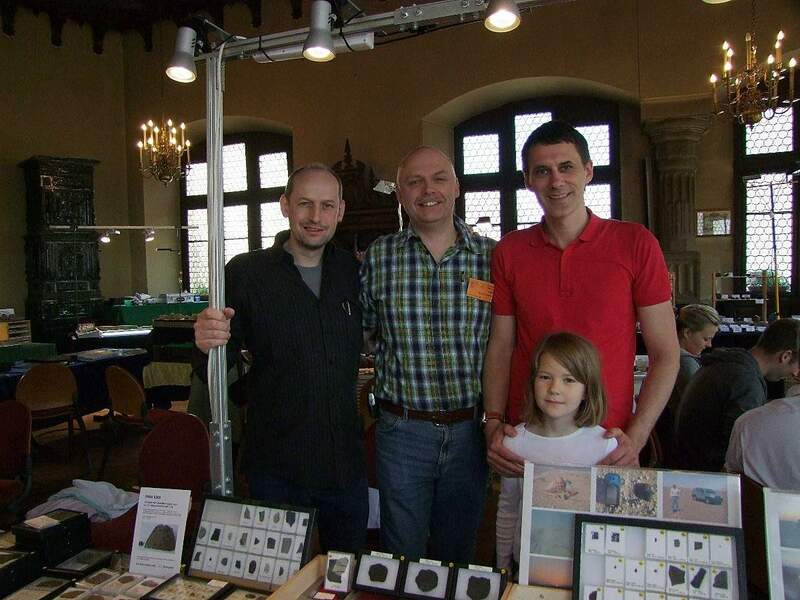 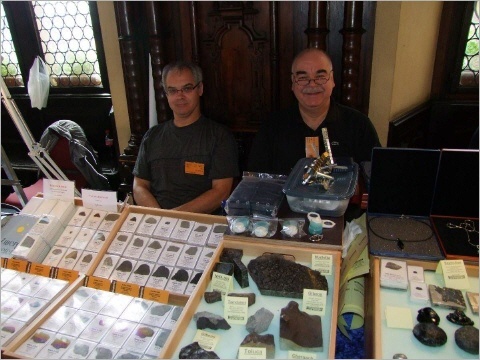 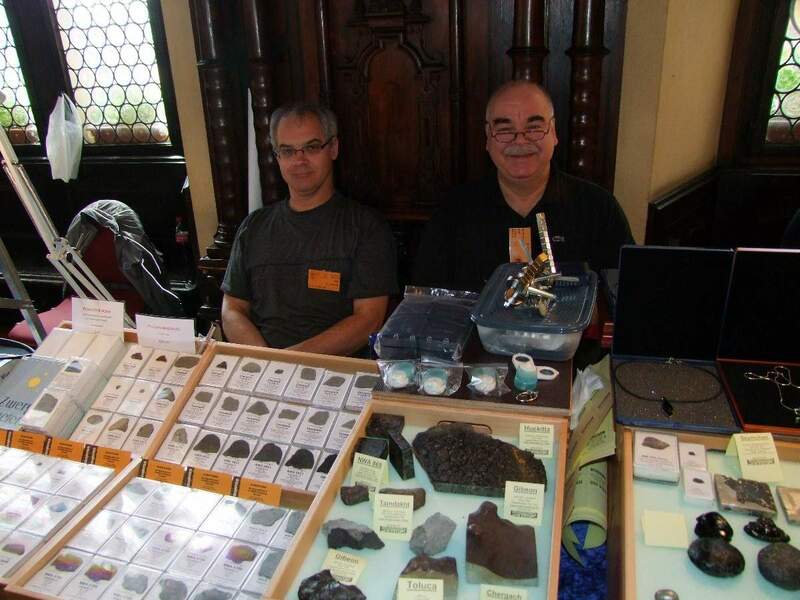 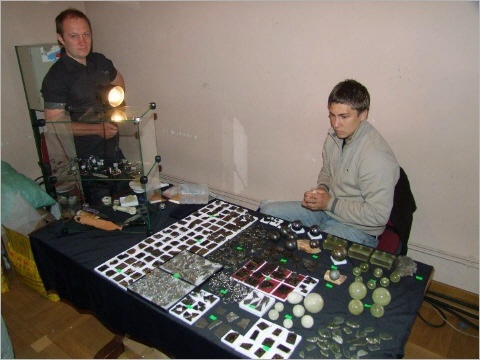 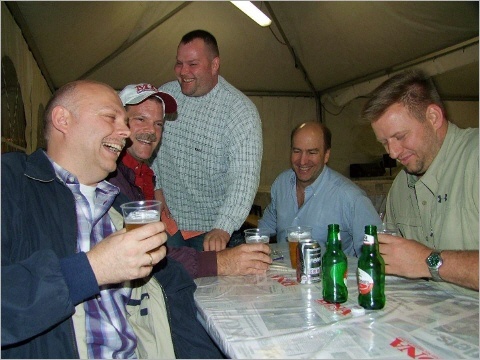 Dirk Hohmann, me and Svend Buhl from niger meteorite recon. Andre Knoefel and Bernd Ruschinzik. 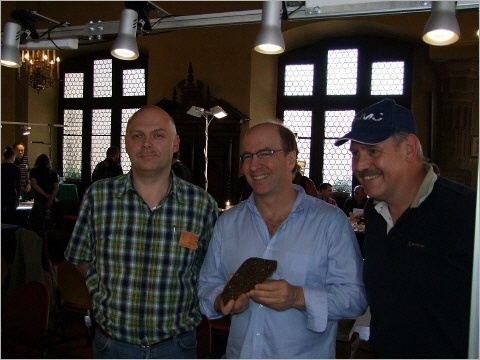 Me together with Darryl Pitt and Jürgen. 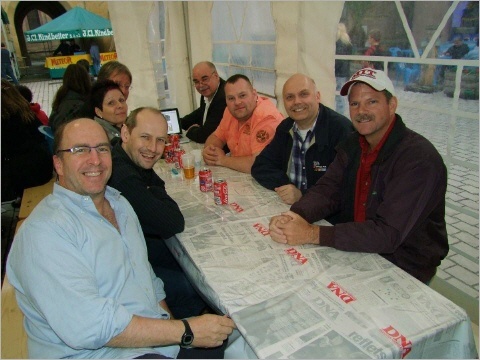 Saturday after the show with Daryll Pitt, Dirk Hohmann, Tina, Heiner Thiel, Bernd Ruschinzik, Mirko Graul, me and Greg Hupe. Me, Greg, Mirko, Darryl, Mike. 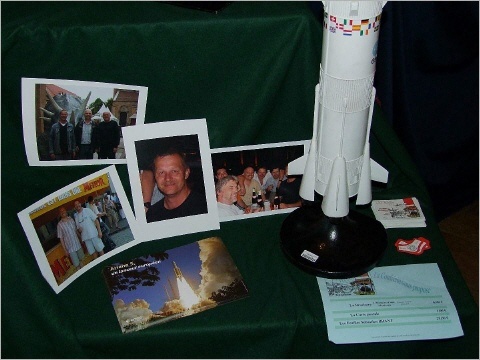 Memory of Christian Anger who was also a brother of the Ensisheim guardians.